This morning, after running around like a chicken with my head cut off trying to get everything packed for the festival this weekend, I went downstairs and found a lunch box sitting on the counter for me. 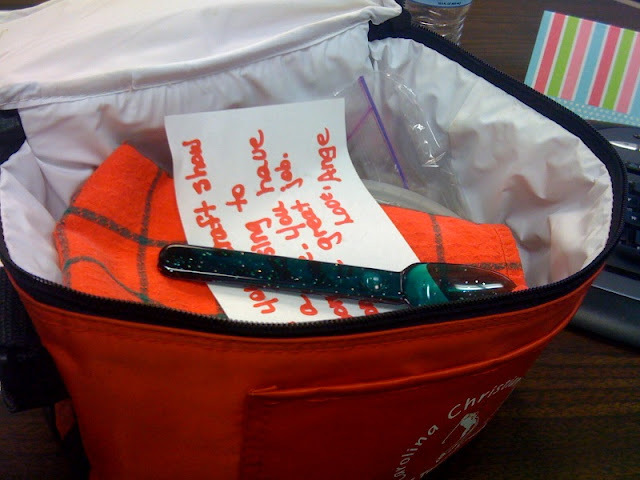 I got to work and opened it up and found a cute, little tea towel, a sparkly spoon and a little note. Is that a good mother-in-law or what? You deserve it! Pray all goes great this weekend!